Storch Oil is the result of adherence to the Viktor Schauberger maxim, “Comprehend and Copy Nature”. Born of intuition and inspiration, Storch Oil is a blend of living minerals with Menhaden (fish), Neem, & Karanja oils. We must humble ourselves to the idea that humanity cannot know Nature completely. Our anthropocentrism gets us in trouble, it results in the misguided ideas of “essential nutrients” for plants, pharmaceutical-based medicine, and the general idea that we can measure and create data out of every useful idea and principle in the natural world. For instance, we utilize electricity and magnetism, but have no idea where it comes from. We can taste and feel the differences in living water (virgin spring) and industrialized water (tap), but how do we measure it? Examples abound. When using Storch Oil to tame the foam in your Vortex Brewer®, notice that it takes only a few drops and a few seconds to affect the entire 10-20 gallons of solution. Many have been amazed…how can such a small amount have such a drastic effect on so much? Storch Oil can also be used as a dynamic pest control. Neem and Karanja Oils have been used for millennia to fight pests in the garden. 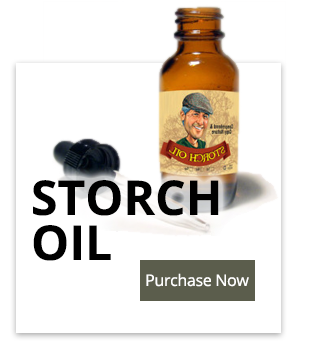 Storch Oil comes in 1 & 4 oz. dropper bottles and 9 oz. refill. Enjoy the power and the purity of the product. 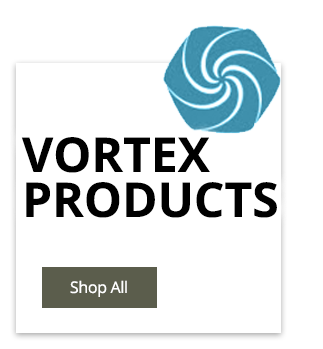 Steve Storch is the inventor of the Vortex Brewer®. From his twenty years as a BioDynamic farmer and researcher of spiritual science, he is deeply connected with Nature. Many of the great discoveries in human history are born of intuition. It is what modern society lacks most. Rather than blaze a trail of originality, we would rather be told what to do. Viktor Shauberger used to just sit by a river and get inspiration for his ideas. He said the river would speak to him. Albert Einstein is a similar example in his discovery of the theory of special relativity. A twenty-six year old patent expert who was largely self-taught in physics, and who had never seen a theoretical physicist (as he later put it), let alone worked with one, produced four extraordinary works in the year 1905, only one of which (not the relativity paper) seemed obviously related to his earlier papers. These works exerted the most profound influence on the development of physics in the 20th Century. How did Einstein do it? We’ll stop short of comparing the significance of Storch Oil to the Special Theory of Relativity, but the analogy is fitting. In other words, trust your gut. The final touch was to mineralize it using the sea mineral and Himalayan crystal salts. These living minerals represent the current and primordial oceans and contain ALL Earth-bound elements in a balance that Nature can understand. The result for all to enjoy is – Storch Oil. First a mineral extract is created with the Menhaden oil using sea minerals and ancient sea minerals from the Himalayans. All three oils are then blended via a proprietary potentization process so that they are ‘etherically’ blended. This results in an elemental cohesion not possible through simple mixing. Storch Oil is a unique gardening product that wears many hats. The properties of the oils contained in Storch Oil work to reduce the surface tension of a solution, which allows it to act as a non-toxic de-foamer when brewing compost tea. Storch Oil can also be used as a plant tonic or for fighting bugs in the garden. The main ingredient in Neem Oil, called azadirachtin, is a proven natural anti-feedant, insect growth regulator, anti-ovipository and repellent, as well as a toxin to soft bodied insect larvae. Neem Oil has over 60 bio-available compounds, many that have not been researched in regards to their effectiveness in stimulating plants and fighting pests. Karanja Oil has many of the same properties as Neem Oil, they’re cousins. Karanja Oil contains a unique active Ingredient called liminoid karanjin. Karanja Oil is widely used as a pesticide when used as a foliar spray. Field experiments conducted during the period of December 2000 to February 2001 by the Fredrick Institute of Plant Protection and Toxicology concluded that foliar applications of Karanja Oil @ 5 milliliters per hectare were effective in controlling the sucking pests of okra. Field trials of mixtures of Neem Oil and Karanja Oil have shown excellent results against pests and even viruses. Karanja oil-resin soap sprays having a concentration of 2% have been reported to be effective against the nymph and adult stages of many insects. Both are non-toxic to honey bees and many other beneficial insects. The concept of horticultural oil is widely recognized with growers. Oils are traditionally used as a mechanism of suffocating pests. Most target pests breathe through their skin (right). Matching the micron size of the air hole on the pest with the type of oil used allows the product to work. If the size is not right it’s like putting a square plug in a circle hole, it doesn’t fit and therefore has no implications for fighting pests. Because Storch Oil combines three different kinds of oils, including Menhaden Oil, there is a much higher potential for suffocation. This is in addition to the direct pesticidal uses of the active ingredients in Neem and Karanja Oils. The energetic cohesion of potentizing the oils with the living minerals contained within allow for a different kind of product. One that has not been completely figured out, one that we may not be able to figure out. The medicinal properties of Neem have been described in ancient Indian medical texts (4000 B.C.) such as the Atharva Veda, Ghrhyasutras and the Sutragranthas. The sanskrit name, nimba, is a derivative of the termnimbati syasthyamdadati-meaning ‘to give good health’. Literally, every part of the tree has a use. The leaf and bark are used in teas and medicinal preparations. The insecticidal qualities of Neem oil are well known. The main active ingredient in Neem is azadirachtin. It is responsible for repelling as well as limiting the pupation and reproductive abilities of many insects. Neem oil is extracted from the seed kernel. In recent years the growth hormone regulating and anti-feedant properties of Neem oil have prompted a considerable amount of research. The United States Department of Agriculture has been studying Neem since 1972. Karanja: Also native to India, Karanja Oil is pressed from the seeds of the Pongam Tree. The Pongam is a fragrant, flowering tree that is considered a cousin to its pungent relative – Neem. Karanja Oil is great for agricultural uses, serving as a natural pest repellent. Karanja oil is a cousin to Neem oil, so has similar therapeutic benefits. Karanja oil is most prized and used for its antiseptic and insecticidal functions. Neem can work systemically, but Karanja Oil is most often used externally. The Karanja tree- Pongamia Glabra – is hardy and drought resistant. The ‘Pongam’ tree commonly grows to a height of about 1 m.
Karanja oil is cold pressed from seeds. The oil is reddish brown and rather viscous and non-edible. What makes the Karanja oil so valuable, though, is its insecticidal and antiseptic qualities. In Ayurvedic and folk medicines the oil is used for skin diseases, worms, and wounds. Menhaden oil: Menhaden (Brevoortia tyrannus) are small, oily-fleshed fish that play a major role in the marine ecosystem on the east coast of the United States. Menhaden are described as the “most important fish in the sea”. Since Native Americans began using menhaden as fertilizer, this amazing fish has greased the wheels of U.S. agriculture and industry. By the mid-1870s, menhaden had replaced whales as a principal source of industrial lubricant, with hundreds of ships and dozens of factories along the eastern seaboard working feverishly to produce fish oil. Menhaden are omnivorous filter feeders, feeding by straining food particles from water, mostly phytoplankton and zooplankton. They travel in large, slow moving, and tightly packed schools with open mouths. They also represent a significant part of the diet of larger fish, playing an essential dual role in marine ecology perhaps unmatched anywhere on the planet. Menhaden oil represents a good fungal food for growing organisms in compost tea. Storch Oil does not need to be used at a high concentration to be effective. As a plant tonic, higher dilution is actually encouraged so as to be used in a homeopathic application. It is recommended to shake or succuss your solution before using. Succussion is the process of agitating a freshly diluted solution by rapping its container hard against another object. The founder of homeopathic medicine, Dr. Samuel Hahnemann, claimed that succussion released dynamic forces from the diluents which were preserved and intensified with subsequent dilutions. Use Storch Oil as a foliar spray. It can also be used as a de-foamer for brewing compost tea. As little as 10 drops per 60 gallons has been known to work for 12 hours. Depending on the inputs being used this result can vary. Using less inputs can also decrease foam in compost tea. Pest Control: Use 1 tsp. (5 mL) Quart with 1 mL of a wetting agent such as yucca, or natural dish soap and mix thoroughly. A 1 oz. bottle of Storch Oil will make 1.5 gallons of spray. Leaf Tonic: Use 3 drops per qt., succuss/shake, and then use as a foliar to wash your plants leaves and watch them thrive. De-foaming: Use 2-4 drops per 10-20 gallons of water in your compost tea brewer every 12-18 hours, or as needed. When using as a foliar spray don’t use cold water. Use warm water to thoroughly emulsify the oil. DO NOT USE HOT WATER – it can destroy the properties of the oils. Make sure the oil is completely emulsified before spraying. Spray the entire leaf for maximum benefit. Repeat sprays every 7-10 days as needed. If your true goal is optimum results, you need to add Storch Oil to your regime immediately! As well as the many applications mentioned above there are endless possibilities with this remarkable product, particularly when used in conjunction with our unique Vortex Brewer™. A Revolution in Creating Living Compost Tea!